Start off your anniversary right with the help of Bloom Magic – surprise your partner at work with a luxury hand-tied bouquet bursting with fresh-cut flowers. Don’t worry, arranging such a surprise is incredibly straightforward and is only a few clicks away. 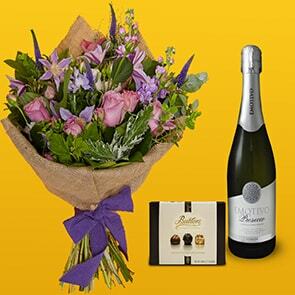 With delivery across Ireland, you can send anniversary flowers to Cork with ease. When we sat down to design our online collection, we were mindful to include a variety of different arrangements to ensure there was a bouquet for everyone in our collection. Personal tastes can differ, so this is why you will see a great variety of anniversary flowers available. 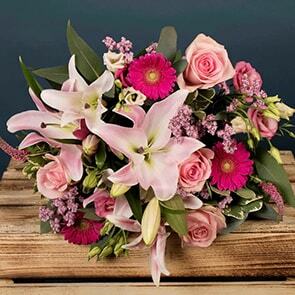 From single-variety bouquets featuring white, red or pink flowers to multi-coloured arrangements that expertly combine a variety of hues and flowers – our collection houses it all. 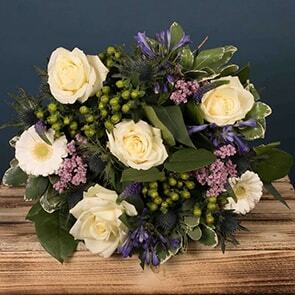 Each bouquet will either be presented in branded wrap, hessian cloth or a waterproof hatbox. This will depend on what arrangement you select. 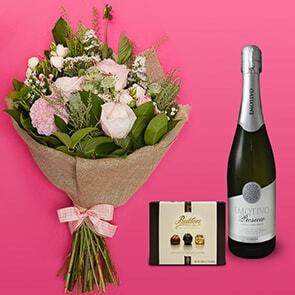 When you order your Cork anniversary flowers, don’t forget to include one or more of our customisation add-ons. Not only can you upgrade your bouquet to include more blooms, Bloom Magic also have gorgeous gifts that can be added to each order. This can include scented candles, a box of chocolates or a bottle of luxury prosecco. Whatever you select, your partner is surely going to appreciate such a heart-warming gesture on your anniversary. Our dedication to ensuring your anniversary goes off without a hitch doesn’t just stop when the flowers have been delivered. While every effort is made to ensure using Bloom Magic’s services is straightforward, we can be reached via phone, email or live chat in the event you need support. This can range from questions about flower care to ensure a specific flower variety is excluded due to allergies – we are here to help. If you have enjoyed Bloom Magic’s services in the past and plan on commemorating more occasions with us, then consider signing up to our Gold Club. Specifically devised for our repeat customers, a Gold Club membership will give you free standard delivery for a period of twelve months. All you have to do is sign-up and pay the €15 membership fee to start taking advantage of this exclusive offer. Because we don’t just send anniversary flowers to Cork – Bloom Magic is proud and honoured to help celebrate a host of different occasions. 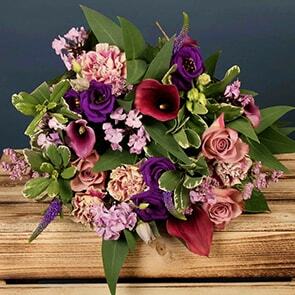 For those moments when you want to express your sympathies, we have a tasteful collection of funeral flowers. 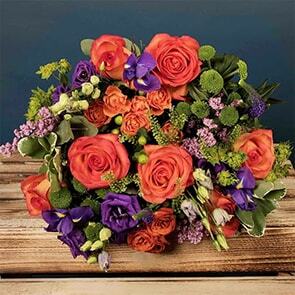 For life’s happier moments, we have congratulation bouquets that are exceptionally suited for housewarmings, new jobs, graduations and many more. Simply click here to browse our entire collection on order.